Santo Tondo was born in the Isle of Sicily in a small town called Sirazucza in 1947. Santo's family immigrated to Venezuela in when he was 13. He lived in a small town where he discovered his passion for creating food that is both comforting and brings friends and families together. He was drawn to his Italian roots, specifically Pizza. After getting married and starting a family of his own they moved to Pennsylvania to raise his children and open a Pizza Shop. Santo worked in a pizza shop in West Chester, Pennsylvania before saving up to open his own. He eventually owned two shops in the suburbs of Pennsylvania. In 2008 Santo sold both of his Pizza Shops to have his family together in Miami. 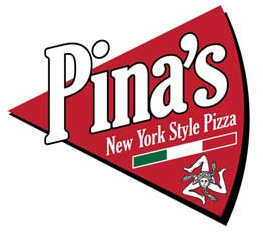 He is now overjoyed to return to his passion while working with his Son and Daughter at Pina's Pizza. The Tondo family operates Pina's Pizza together and loves sharing their passion of authentic pizza with the families of Miami.